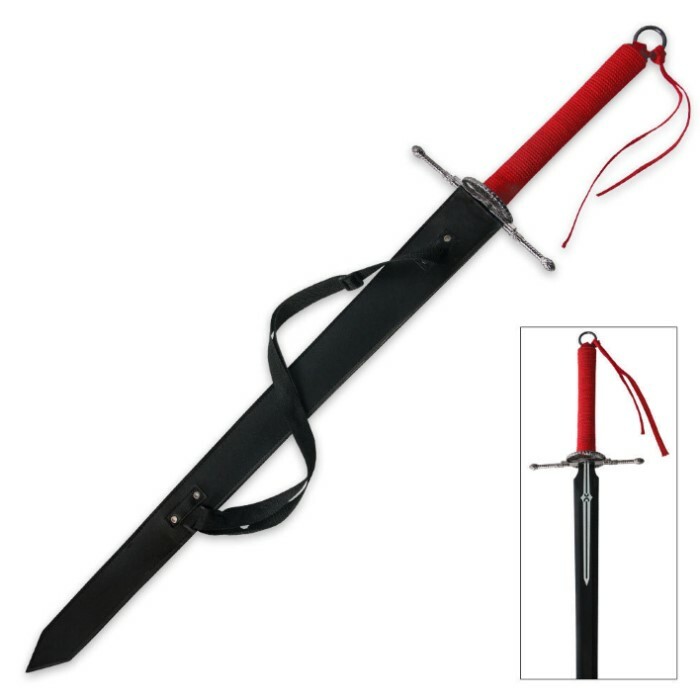 Anime Element Guardian Sword with Sheath | BUDK.com - Knives & Swords At The Lowest Prices! Now you can own the sword of one of your favorite anime characters! This Element Guardian sword is known for slashing through any object, no matter what that object is. Now the energy and power of this blade can be yours! The 1045 carbon steel blade features a black baked-on finish with white blade designs. 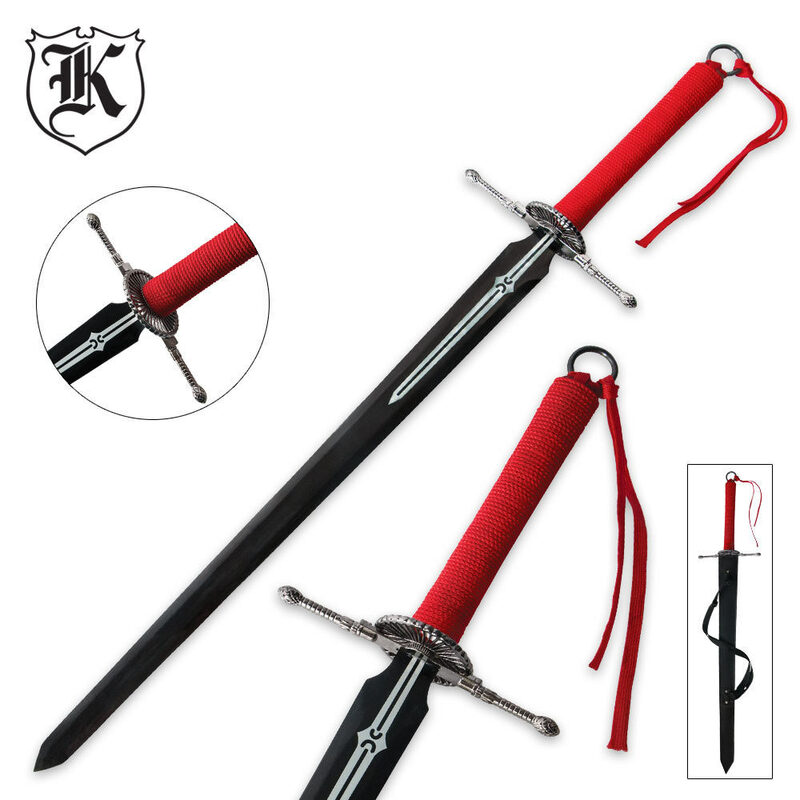 The red cord wrapped handle provides a secure grip as you wield this powerful anime sword!